3R Network was founded in 2011 as an electronics recycler with a strong reputation for attention to detail and an unwavering commitment to R2 and e-Steward industry certification standards. Since then, we’ve emerged as leader in end-to-end reverse logistics, offering full traceability, purity, and oversight so that our customers know exactly where their products have been and have full transparency, from collection to re-distribution. Headquartered in Austin, Texas, our company has grown to include locations in Japan and China and processing facilities in California, Texas, and Mexico. 3R Network provides solutions for responsible, effective management and removal of end-of-life electronic assets in a manner that protects the environment, our workers, our clients, and our community. We are committed to adhering to our compliance obligations, as well as managing end-of-life electronic equipment based on a model of reuse, refurbishment, recovery, and appropriate hierarchy of disposal, including onsite and downstream materials management. We are dedicated to communicating and reinforcing these policies throughout our company, to all persons working for or on behalf of the organization, as well as to our customers, suppliers, and other interested parties. We specialize in return merchandise authorization (RMA), so we can help our customers get their merchandise refurbished and operational and back to market, often within days. From the time something arrives at one of our warehouses to the time it’s back in the market, it never leaves our network or visibility. We manage every step in the process, from testing and logging points of failure to the actual repairs. This process of recapturing value for our customers is one of the hallmarks of our business, and our efficient RMA process for bringing products full circle truly sets us apart. At 3R Networks, we perform extensive data testing to determine why a unit failed, identify the faulty component, and complete all refurbishment in-house. With industrial engineers troubleshooting returned units on-site and an entire warehouse dedicated to data collection, we’re able to provide timely feedback to our manufacturer partners as to why a given product was returned and help improve the design and production of future models. We handle everything, from cleaning and sanitizing to repackaging and restocking, and we’re able to do it all for a fraction of what our competitors charge, all while offering superior intelligence and quality. We are fastidious when it comes to the responsible recycling and destruction of electronic equipment, and our commitment to industry standards is the cornerstone of our operations. Electronics recycling is where we started, and the processes we’ve put in place are second to none in terms of efficiency and compliance. Through our network of fully certified partners and affiliate companies, we provide expertise in every phase, helping you reclaim maximum value from your products. From circuit boards and cell phones to set-top boxes and kitchen appliances, we specialize in breaking things down into their base components and reclaiming every cent of high-value material. Our plastic recycling process is done by hand to ensure and maximize the quality of the final product. We are one of the only reverse logistics companies that separates and cleans our own plastics. We remove stickers and precious metals manually and take great care to separate plastic colors and grades, to eliminate contamination. This makes the refinement method exact and yields a more perfect end product, pure and free of irregularities that might cause pitting or other weaknesses. This closed-loop process provides complete transparency and ensures downstream integrity. Our closed-loop product lifecycle provides complete transparency and ensures downstream integrity. Given our uncompromising attention to detail and quality control, our customers can confidently utilize our reconstituted plastic in their high-end products, knowing that we’ve taken great care to clean, separate, and keep it from becoming contaminated. We never ship anything out and manage the entire process in-house – the next and only other party in the process is the one that will transform our material into something new. This level of traceability is hard to come by in the reverse logistics business but it’s one of the cornerstones of our business and operations. Our fully certified end-of-life electronic recycling program brings to bear unparalleled expertise in the responsible deconstruction, collection, and processing of your devices down to the smallest salvageable component. 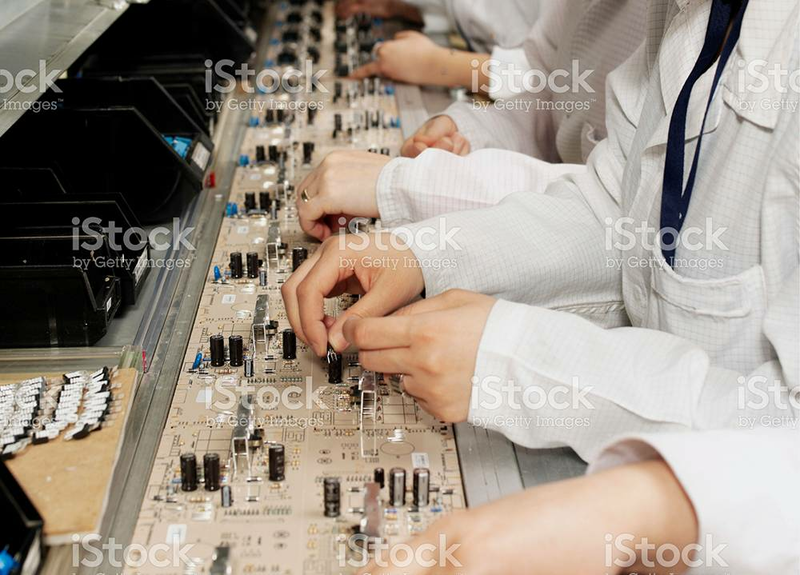 Our meticulous attention to separating circuit boards, heavy and light metals, stickers, plastics, lead, and other base components ensures a strong next generation of products. As your recycling partner, we provide the peace of mind that comes with knowing that your products are being thoughtfully and deliberately deconstructed. We utilize the latest in automation, in conjunction with good old-fashioned manual sorting, so that each element is cataloged, separated, and disposed of properly and in accordance with the law. 3R Network handles every phase of the reverse logistics process, from intake and testing to refurbishing and recycling. We never ship anything out and manage the entire process in-house. We’ve created a model whereby the next stop is the product’s final destination – the only other party in the process is the one that will ultimately transform our material into something new. Cutting out intermediaries also increases efficiency and visibility and offers our customers unparalleled traceability. This yields greater supply chain oversight for manufacturers and maximizes the purity of their raw materials. We’ve been at the leading edge of the electronics recycling business since 2009 and, since founding 3R Network in 2012, have built an infrastructure that allows us to expertly handle every stage in the reverse logistics and recycling process. In every client engagement, we come to know the products we work with as well as the manufacturers themselves. Contract manufacturing is the logical extension of our existing business and is on the visible horizon. Having become world leaders in taking things apart, we now look forward to applying that knowledge to putting things together. Office locations do not hold any certifications and do not accept or process unwanted electronic devices. Data Security Services: 3R Network ensures data security by establishing policies and procedures to prevent unauthorized access to data containing electronic devices. 3R Network provides data sanitization methods that conform to US Department of Defense cleaning and sanitizing standard DOD-5220-22M. 3R Network has a third party Cyber Risk Insurance Policy insuring against certain liability arising from data destruction or loss of its customer 's data up to $1,000,000 according to the specific terms of an insurance policy which is available for inspection upon request. 3R Network does not accept liability and does not agree to indemnify its customers for any losses not covered by the terms of the insurance policy.